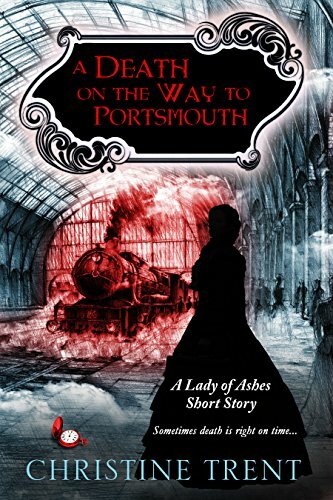 Violet Harper might be fearless when it comes to caring for the dead, but she trembles at the thought of boarding trains—those behemoths of belching smoke and screeching brakes. Nevertheless, she must travel via one of these beasts from Southampton to Portsmouth. The undertaker’s anxiety turns into horror when a fellow passenger is murdered as the train carriage enters a tunnel. Can Violet discover who the murderer is before the train reaches its next stop? Note: this is a short story, not a full-length novel. Available for FREE on Nook and Kobo. Currently .99 on Amazon. No Cure for the Dead—Available Now! When a young nurse dies on her watch, Florence Nightingale must uncover the deep-hidden secrets someone will kill to keep buried. 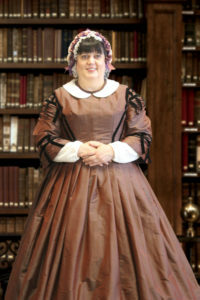 It is 1853. Lady of the Lamp Florence Nightingale has just accepted the position of Superintendent of the Establishment for Gentlewomen During Temporary Illness in London. She has hardly had time to learn the names of the nurses in her charge when she suddenly finds one of them hanging in the Establishment’s library. Her name was Nurse Bellamy. 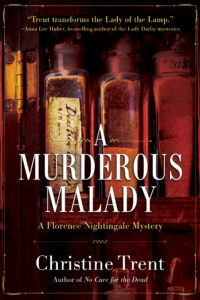 Florence’s mettle is tested by the dual goals of preserving what little reputation her hospital has and bringing Nurse Bellamy’s killer to justice. Her efforts are met with upturned noses and wayward glances except for her close friend and advocate inside the House of Commons, Sidney Herbert. As Florence digs deeper, however, her attention turns to one of the hospital investors and suddenly, Sidney becomes reluctant to help. With no one but herself to count on, Florence must now puzzle out what the death of an unknown, nondescript young nurse has to do with conspiracies lurking about at the highest levels of government before she’s silenced too. The London summer of 1854 has ended, but not before admitting a most unwelcome guest: “King” cholera. As the dreaded disease tears through the poverty-stricken Soho slums, Florence Nightingale marshals her best nurses to assist the doctors at Middlesex Hospital, who are treating countless suffering patients. But there is far more seeping through London than merely a fatal disease. Someone has attacked the carriage of Florence’s dear friend, Elizabeth Herbert, wife to Secretary at War Sidney Herbert. Although Elizabeth survived the assault, the Herberts’ coachman did not. With Sidney frantic with worry that an assassin might be stalking his wife, he asks Florence to investigate. Within hours, though, more tragedy strikes. Sidney’s valet, Fenton, stumbles into Florence’s hospital, utters a few mysterious words regarding the attack on Elizabeth, and promptly expires from cholera. With little to go on except Fenton’s last words and a curious set of dice that she finds in his jacket pocket, Florence embarks on a mission to find a killer. Soon the suspects are piling up faster than cholera victims, as there seems to be no end to the number of people with a grudge against the Herbert household. The Deadly Hours—Coming from Sourcebooks in late 2019! I have also been busy on another quick mystery Violet solved in March 1870, involving a pocket watch that seemed to be cursing the lives of those who owned it. Violet had quite a time unraveling the true source of the watch’s evil. My story will be featured in an anthology of stories I am writing, along with Susanna Kearsley (LOTS of fabulous romantic historical fiction), Anna Lee Huber (Lady Darby mysteries), and C.S. Harris (Sebastian St. Cyr mysteries). I admire all of their books and this is a great honor for me. Stay tuned for a cover reveal very soon. I will be at “the” conference for historical novelists. It will feature a one-day reader festival on June 22, 2019, where you can network with plenty of historical authors—like Civil War novelist Jeff Shaara—as well as attend a book signing of more than 120 of your favorite historical novelists. I will be making a one-hour appearance on June 22 as none other than the Lady with the Lamp, Florence Nightingale. You may know Florence as the brave heroine of the Crimean War, or as the founder of professional nursing, or even as a remarkable writer and statistician. But do you know the real Florence Nightingale? Florence overcame a great deal of resistance—not only from the medical establishment but from her own family—to pursue her dream of nursing. She then single-handedly transformed a profession then considered to be the domain of drug users and prostitutes into one revered around the world. Join me for an engaging presentation, where you will “meet” Florence and learn about her great romantic heartbreak, her struggles to be respected, the illness that plagued her most of her life, and the work she performed in India…without ever leaving her bed. Florence is renowned around the world for her devotion to patients and to skilled nursing. Now come and get to know the personal side of The Lady with the Lamp. Book signing to follow presentation.